Sydney, If you remember that the robot farmers of Agiris company were discussed excessively across the world and now this robot is developed more and further changes are made in this robot. Now this robot farmer is equipped with artificial intelligence (AI) and it is made capable to carry out more works. Automatic Farmer Robot Available from Next Year. The robot farmer will be available in 2020 at the commercial level. This robot was controlled by the remote control in 2016. This robot farmer can carry out monitoring of crops, fields and pastures and it will point out crops enemy weeds. In the next level, this farmer robot will be developed as robot shepherd, which will help to feed the cows and buffalos in the pastures and it will monitor them and it will send the updates to the real shepherd through the wireless. The manufacturing company has the target to take care of the crops and the herd of cattle. The work is being carried on another project, Digital Farm Hand for the small farmers but their details are not shared yet. However, the company claims that it will within the reach of the poor and developing countries. 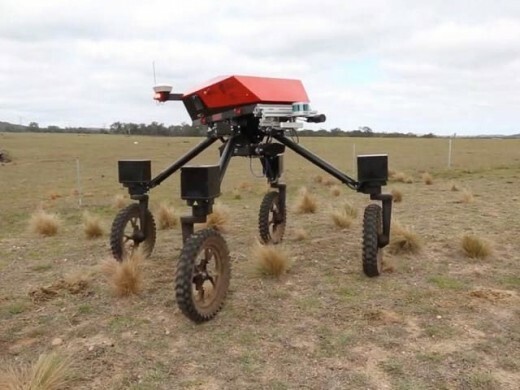 This robot has the capability to maintain the account because of its AI and the robotic arm will be added with it, through which it will remove the grass damaging weeds. In the next level, it will do the spray over the crops. The experts of automation say that the automatic robots over the crops and fields and the connected systems to carry out automatic decision will become common within next ten years. These systems will reduce the weight of the farmers and they will cost reasonably.